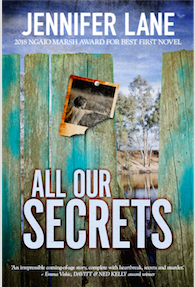 Clan Destine Press’s new release, All Our Secrets, is set in the fictional small town of Coongahoola in NSW. Set in 1984, the town is steeped in the consequences of a wild party on the banks of the Bagooli River in 1975 and the rush of children born nine months later. The fathers of the River Children are not necessarily the men married to their mothers. Nine years later, one of the River Children goes missing, his body turning up a few days later by the river. He is the first of a string of murders. One of the children who may be the next target is Elijah Barrett. His 11 year old sister, Gracie, is our guide to Coongahoola. Through her eyes we meet her chaotic family, her town, the shock of the murders and her beloved brother. Lane imbues Gracie with a realism that makes the young girl sympathetic and irritating in turns, though her innate kindness is her saving grace (as it were) even when she’s not always making the kindest decisions in her attempts to fit in to the town’s narrow social expectations. She is struggling with the estrangement of her parents, her sometimes embarrassingly religious grandmother, her crush on the boy next door and her anxiety from the usual array of schoolground bullying and snooty cliques. Through this thoroughly believable child, Lane captures the personalities and quirks of the people of Coongahoola. As each child disappears, only to be found murdered, the net of suspicion is cast wide – from townspeople to the group of religious devotees who have recently set up camp by the river. The parallels between the personal chaos of Gracie’s world and that of the whole town is clear: all the rivalries and jealousies, the in and out groups, the unfounded rumours and blame games. All Our Secrets is a gripping and perfectly paced story, balanced splendidly between Gracie’s distress and concern for her family ad the fear experienced by the wider community as their children become victims. 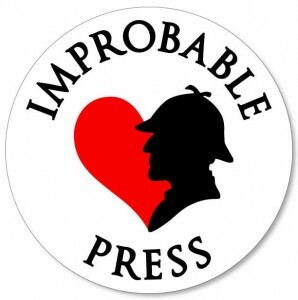 It’s no surprise to learn that All Our Secrets won the 2018 Ngaio Marsh Award for Best First Novel in New Zealand. 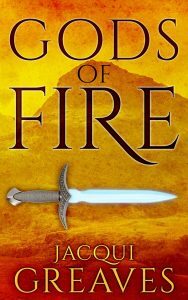 Clan Destine Press has brought this fantastic book, with it’s unusual and powerful point of view, to a new audience. Get it now to read a fresh new voice in Australian crime.